Not only did The Walking Dead get a new trailer today, so did its spinoff. 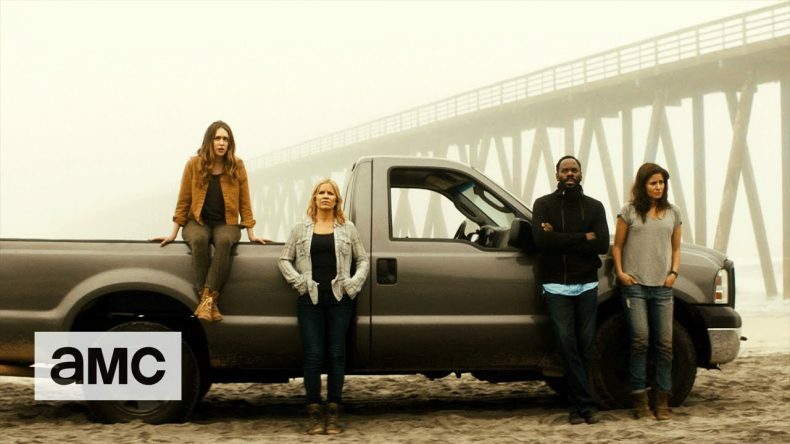 Below is just some of what to expect from Season 2B of Fear The Walking Dead: Scavenging! Long deserted highway roads! Crowds of angry people, zombies, or sometimes both! Gunfights! A mysterious hotel! And Crazy Nick in Tijuana! If you’re looking for some good news, how about this: Alicia’s actor, Alycia Debnam-Carey, told con-goers that her character becomes a lot less useless in the upcoming episodes. “Alicia is coming into herself and finally being seen as an equal. There’s an interesting mother/daughter dynamic that will change as we get into the second half of the season.” I hope so. Unfortunately I don’t see Alex anywhere. Do you? Fear The Walking Dead will return in about a month: Sunday, August 21 on AMC.